My mother is dying from cancer. Scratch that: she’s living with cancer. She’s quick to point it out; she’s still here. And while cancer is winning the battle, my mother claims victory. The spoils? “Apples.” But not McIntosh or Fuji. Let me explain. 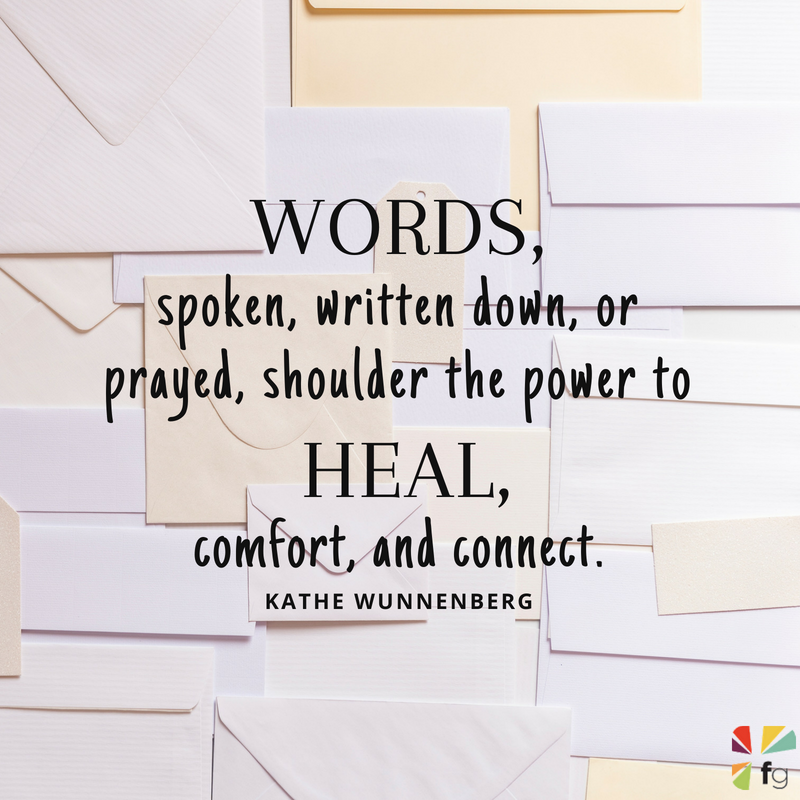 During her journey, my mother has received countless “apples.” Those eternal gifts were “aptly spoken” via cards, prayers, and conversations, each word a sweet balm. People often struggle to express what a dying person longs to hear. What can we say to reverse the ravages of chemotherapy? What mere words could convey our sorrow? How do we express our fear and give voice to theirs? • Read the Bible aloud. God’s Word offers comfort you sometimes cannot articulate. Try Psalm 23 for starters. • Write a letter. Don’t hold back; it might be easier to pen your feelings rather than speak them. • Say goodbye. This is perhaps the scariest part. I simply held my mother’s hand and told her that despite our difficult seasons, I loved her. Devotion by Diane Meehl, excerpted with permission from Hopelifter: Creative Ways to Spread Hope When Life Hurts by Kathe Wunnenberg, copyright Zondervan, 2013.